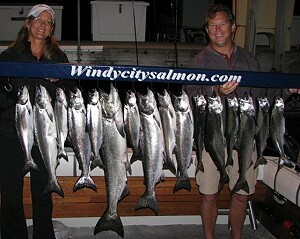 Welcome and thanks for visiting Windycitysalmon.com, serving the Chicago, Wisconsin, and Indiana area with world class salmon and trout charter fishing. The surrounding waters off Waukegan Harbor offer excellent Salmon and Trout fishing on Lake Michigan for you to enjoy an unsurpassed charter fishing experience, right in Chicago’s own back yard. 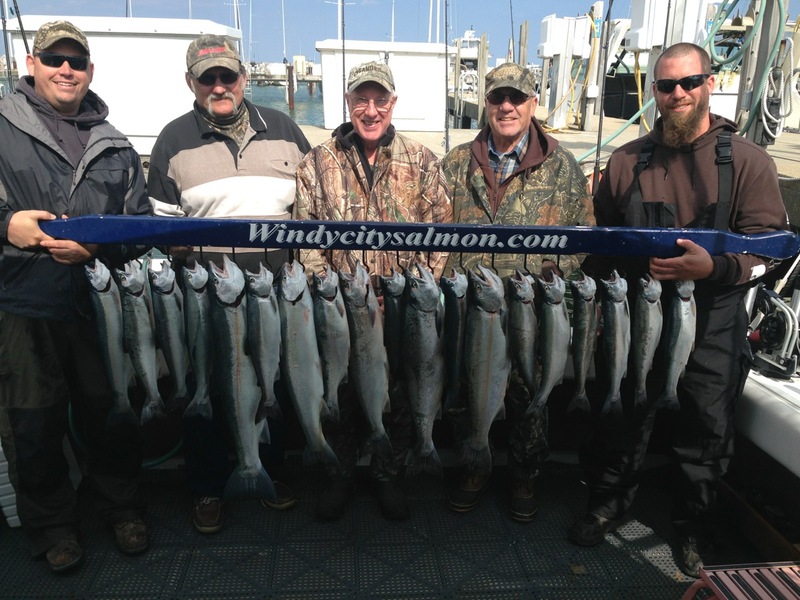 Because of Waukegan Harbor’s close proximity to many near-shore and off-shore structures as well as deep water, superb and consistent salmon and trout charter fishing is available from early April to late October. The vessel – Independence – is a 34-foot Tiara. A custom equipped and fully outfitted charter fishing boat designed exclusively for Great Lakes salmon and trout fishing. Captain Rick’s Windycitysalmon is a full-time, US Coast Guard Licensed and insured professional charter fishing operation. At the helm and on the fishing deck of the Independence, Captain Rick Bentley is on the water nearly every day during the fishing season, monitoring movements of the fish and what they are eating. The Independence is maintained to shipshape cleanliness and complies with all state and federal safety regulations. 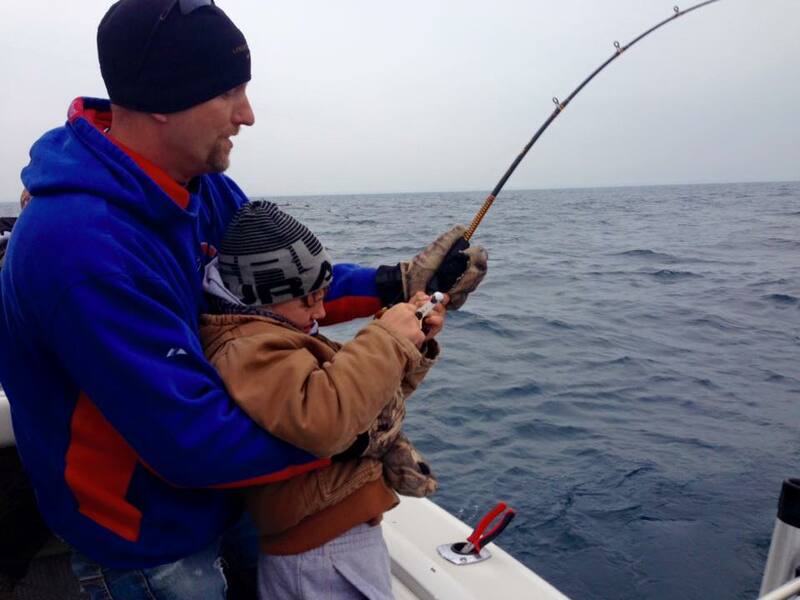 Captain Rick also features up-to-date, top-of-the-line gear – Penn International 975, Shimano Tekota, and high-speed Daiwa Saltist reels/Shimano Talora rods – these are the best, highest quality, well-maintained reels & rods you will find on any charter boat on Lake Michigan. There is no experience required and Captain Rick will employ and manage the full spread of rods in an expert manner for your crew. All YOU have to do is haul in the fish and enjoy being out on the lake! 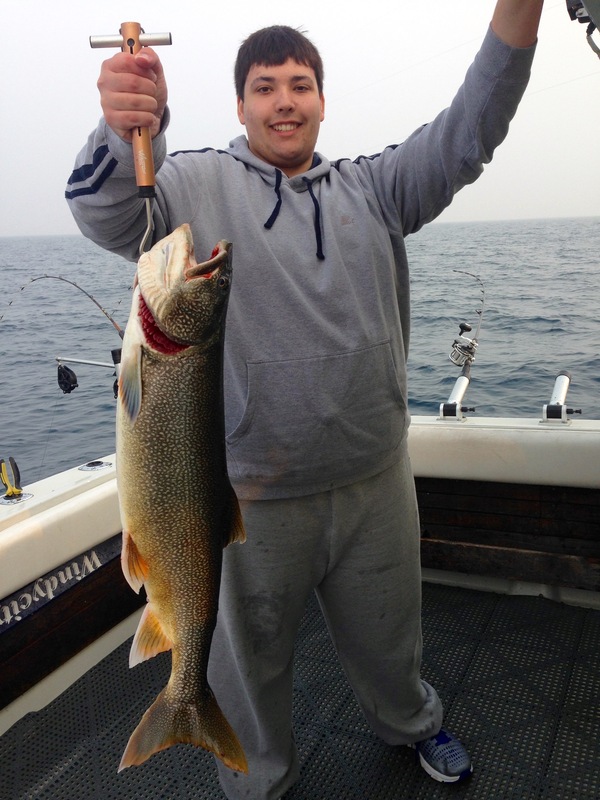 For many customers – beginners or seasoned anglers – these are the largest fish they will ever catch! 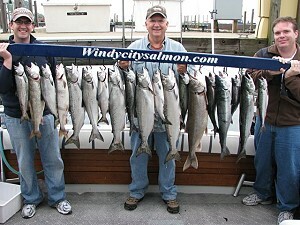 Windycitysalmon offers 5, 6, and 8 hour morning or afternoon fishing charters for your private group of up to 6 people. Smaller groups of 2 & 3 people can experience a more personal fishing adventure at discounted prices from Monday to Thursday. 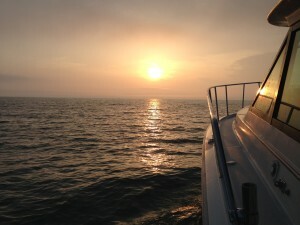 Additional charter fishing boats can also be arranged for groups larger than 6 people. Additionally, multiple fishing charter packages with overnight stays are available for those seeking a more comprehensive fishing vacation experience. 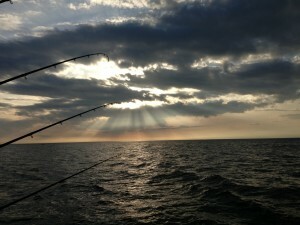 Please visit the Types of Charters and Rates page, to learn which charters Capt Rick recommends, depending on the season. 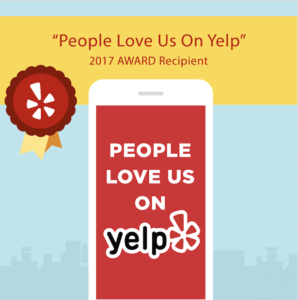 Depending on the time of season, Capt Rick will take you fishing for Coho and Chinook (King) Salmon as well as Steelhead (Rainbow), Brown, and Lake Trout. Catches of a dozen fish, all the way up to limit hauls of 20-30 fish a charter are common. Depending on the species, we will generally catch salmon and trout in the 3-25lb+ range. It is always possible, and we certainly do catch larger, monster trophy fish as well. On many days, the value of your wild salmon and trout fillets will often exceed the actual cost of your charter. After filleting/cleaning of the catch on the way in from fishing or back at the dock, consult with Captain Rick’s delicious, personally tested recipes on the website to easily prepare your catch for the table. And while many of these fish are stocked when they are very young, they live nearly all of their lives in a wild environment in the icy and crystal clear waters of Lake Michigan. 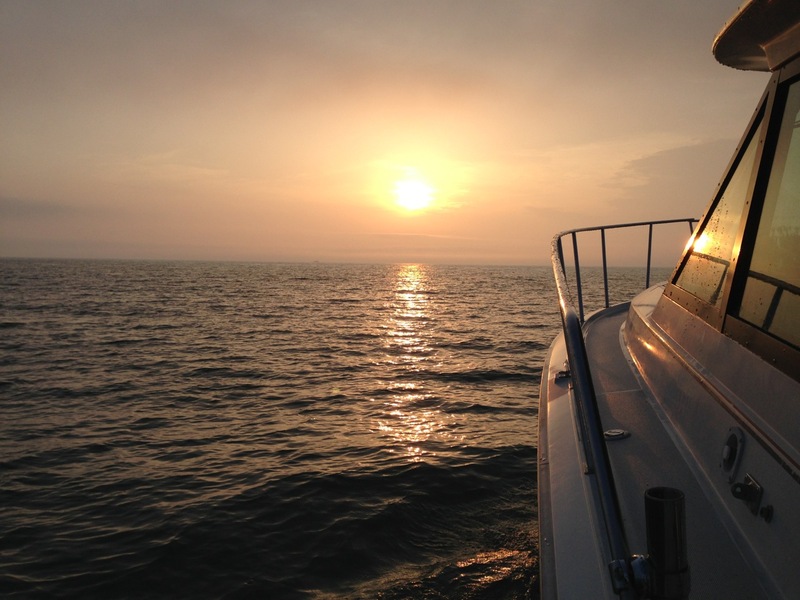 Please navigate through the website to learn more about Captain Rick, the vessel & equipment, seasons, rates & types of charters, and what to bring & expect on our Lake Michigan salmon & trout fishing charters. Feel free to text, email, or call Captain Rick for further questions about available dates and when to fish. Captain Rick is happy to discuss what kind of fishing conditions you can expect, in an open and honest manner.